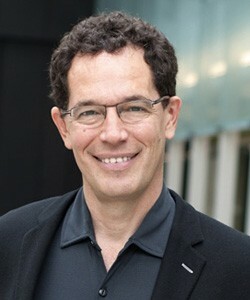 Neil Turok is the Director of the Perimeter Institute for Theoretical Physics, Canada. He is a former Professor of Physics at Princeton University and Chair of Mathematical Physics at the University of Cambridge. Among his many honours, Prof. Turok has received a Sloan and Packard Fellowship for Science and Engineering and the James Clerk Maxwell Medal of the Institute of Physics. Born in South Africa, Prof. Turok founded the African Institute for Mathematical Sciences (AIMS) in Cape Town in 2003 and was awarded a TED Prize in 2008. Prof. Turok has a PhD from Imperial College London, 1983.